04/19/2014 – Dylan enjoying the beautiful weather of West Palm Florida! I have added some videos here from our family vacation to West Palm, Florida for the Easter Holiday. The fireworks display video was taken at the Harbor Ridge Club after the carnival during Grand Parents weekend… Enjoy!! Dylan having fun and enjoying the warmth of Grandpas swimming pool! – Palm City, FL. We would like to say a big thank you to Grandma and Grandpa Bedford for having us over the Easter holiday break. It’s always nice to visit with the Grand Parents and the warm weather of Florida helps to thaw out our northern bodies. 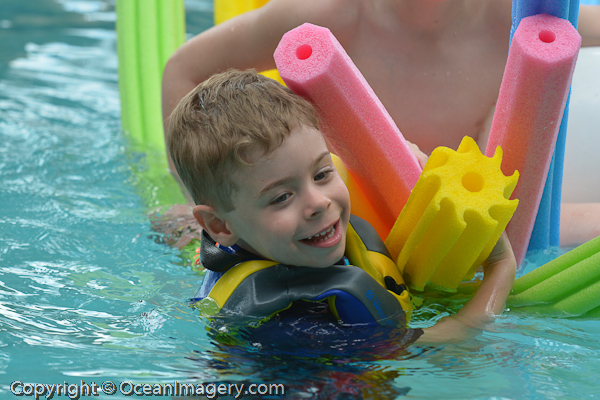 Dylan really enjoyed the pool and the kids events at the club this year. The club even put on a fireworks display this year after the carnival for the first time ever… and it was an awesome show!